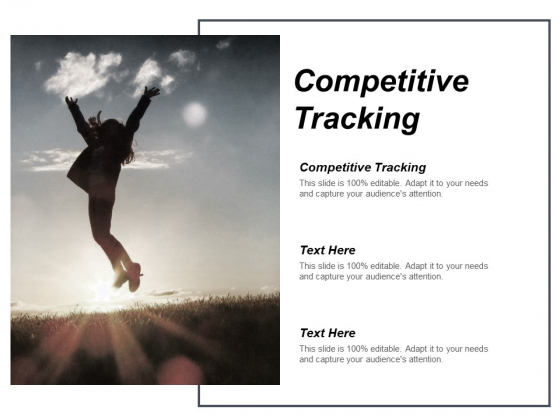 This is a competitive tracking ppt powerpoint presentation pictures guidelines cpb. This is a one stage process. The stages in this process are competitive tracking. Overcome resistance with our Competitive Tracking Ppt PowerPoint Presentation Pictures Guidelines Cpb. You will come out on top. 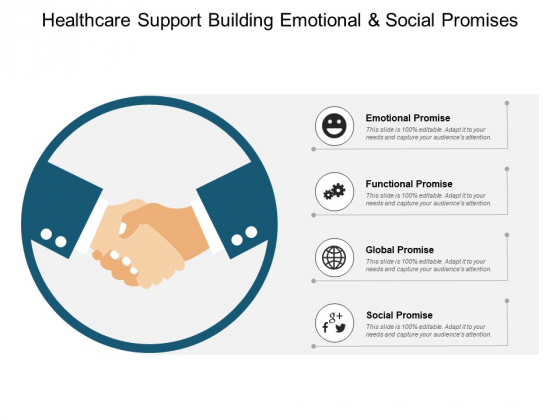 This is a healthcare support building emotional and social promises ppt powerpoint presentation infographics template. This is a one stage process. The stages in this process are hospital branding, hospital marketing, hospital promotion. Do yourself a favour by using our Healthcare Support Building Emotional And Social Promises Ppt PowerPoint Presentation Infographics Template. Benefit from their effectiveness. This is a principles of jidoka planning ppt powerpoint presentation model themes. This is a one stage process. The stages in this process are business, planning, strategy, marketing, management. Collect the facts together on our Principles Of Jidoka Planning Ppt PowerPoint Presentation Model Themes. Draw your conclusions with comparative ease. This is a jidoka problem solving management ppt powerpoint presentation file elements. This is a one stage process. The stages in this process are business, planning, strategy, marketing, management. 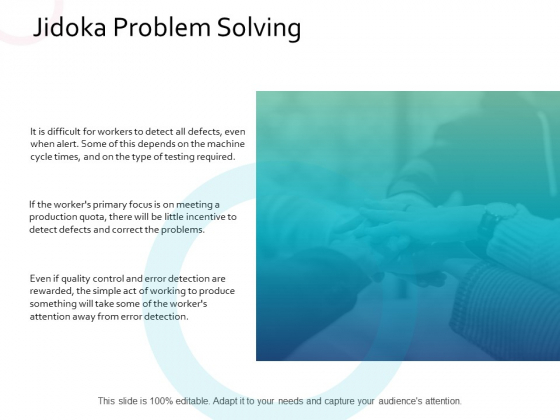 Address their doubts with our Jidoka Problem Solving Management Ppt PowerPoint Presentation File Elements. 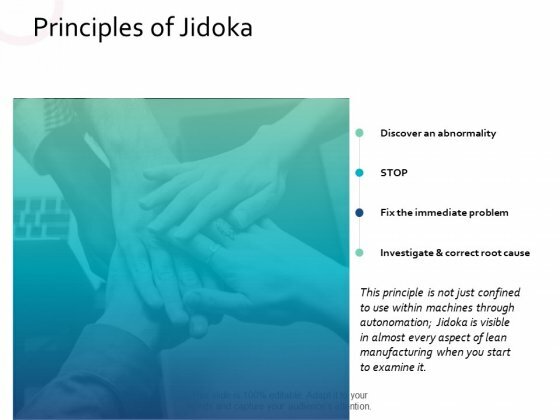 Clear the mist with our Jidoka Problem Solving Management Ppt PowerPoint Presentation File Elements. This is a steps in starting a computer ppt powerpoint presentation professional design inspiration. This is a one stage process. The stages in this process start, begin, on. 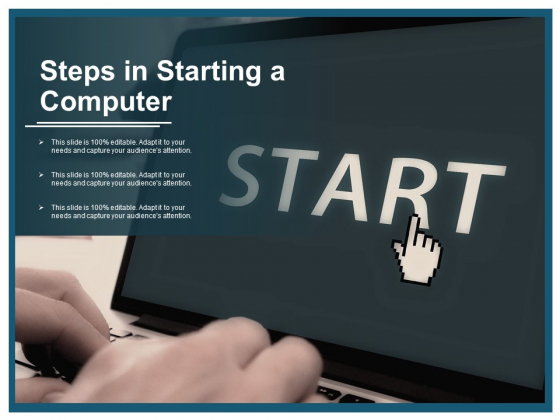 Our Steps In Starting A Computer Ppt PowerPoint Presentation Professional Design Inspiration enable you to look enthusiastic. Give folks a glimpse of the intense excitement you feel. This is a ways to build lasting business relationships ppt powerpoint presentation infographic template vector. This is a one stage process. The stages in this process are handshake, relationship, partnership. 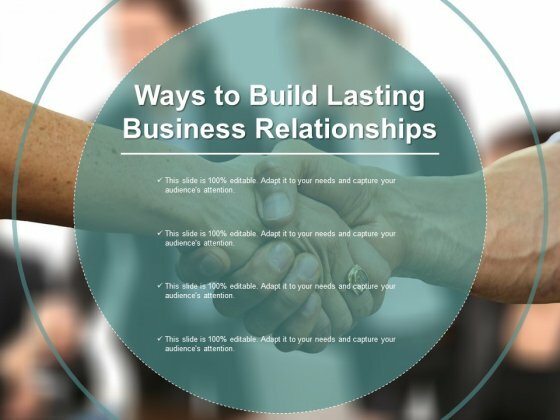 Our Ways To Build Lasting Business Relationships Ppt PowerPoint Presentation Infographic Template Vector generate love. Folks experience a high level of emotion. 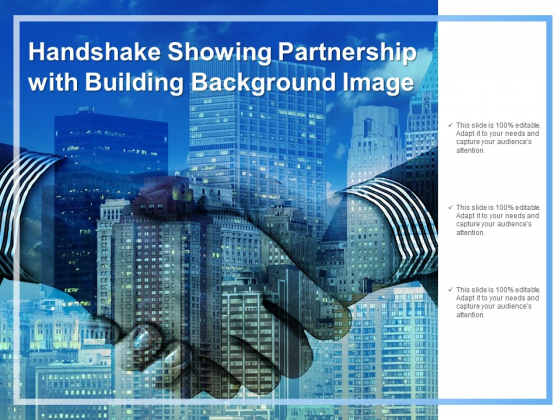 This is a handshake for business deal ppt powerpoint presentation outline mockup. This is a one stage process. The stages in this process are handshake, relationship, partnership. 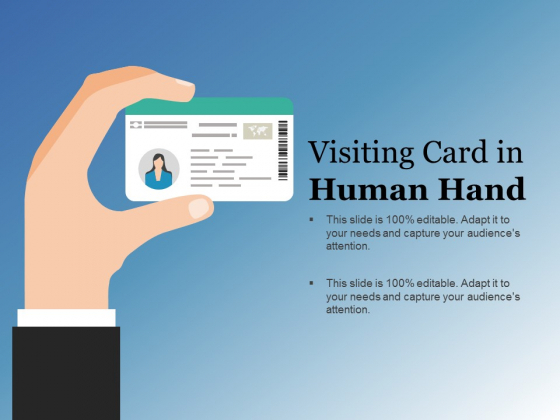 Experience the joy of close interactions with our Handshake For Business Deal Ppt PowerPoint Presentation Outline Mockup. Be able to feel the love. 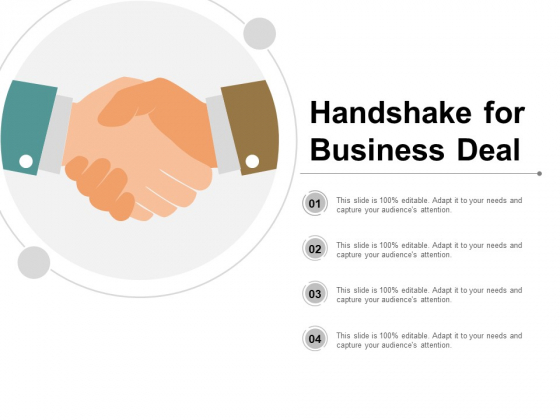 This is a handshake for business agreements ppt powerpoint presentation summary images. This is a one stage process. The stages in this process are handshake, relationship, partnership. Feel the love with our Handshake For Business Agreements Ppt PowerPoint Presentation Summary Images. Experience the joy of close interactions. 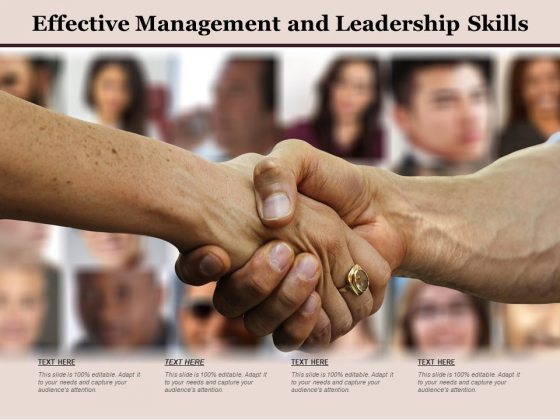 This is a effective management and leadership skills ppt powerpoint presentation portfolio samples. This is a one stage process. The stages in this process are organizational efficiency, organizational development, organizational effectiveness. Advise folks to look good with our Effective Management And Leadership Skills Ppt PowerPoint Presentation Portfolio Samples. Give them an insight into the fashion of the day. 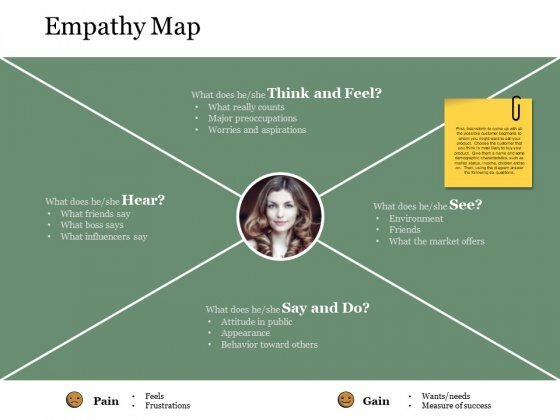 This is a empathy map ppt powerpoint presentation model. This is a one stage process. The stages in this process are empathy map, pain, gain, business, marketing. Influence folks to forgive and forget with our Empathy Map Ppt PowerPoint Presentation Model. Get them to give up feelings of enmity. This is a quick tips on door to door selling ppt powerpoint presentation professional pictures. This is a one stage process. The stages in this process are business, management, strategy, analysis, opportunity. 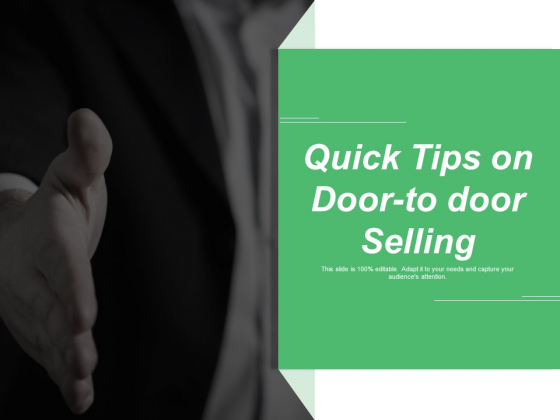 Lend a hand in local development with our Quick Tips On Door To Door Selling Ppt PowerPoint Presentation Professional Pictures. Initiate action to create better infrastructure. This is a man showing business card ppt powerpoint presentation slides inspiration. This is a one stage process. The stages in this process are quote, slogan, tag line. 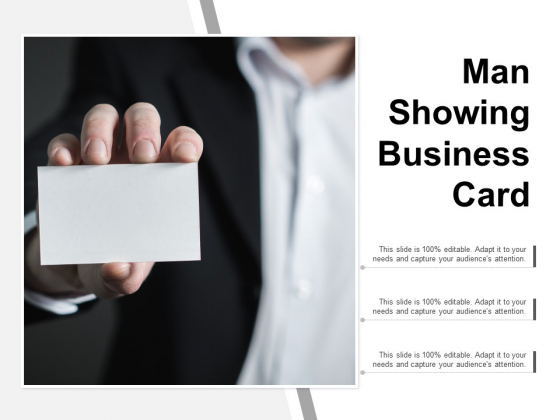 Activate the inhabitants with our Man Showing Business Card Ppt PowerPoint Presentation Slides Inspiration. Increase their involvement in improving the locality. 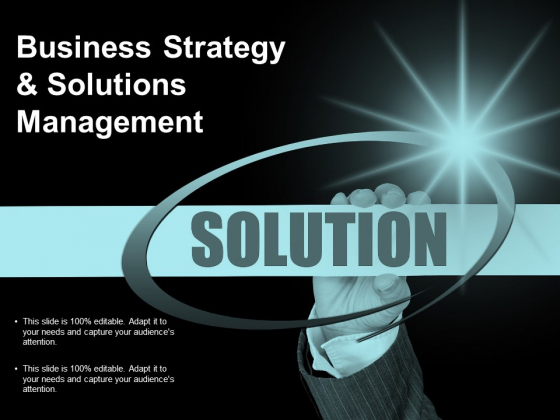 This is a business strategy and solutions management ppt powerpoint presentation infographic template graphic tips. This is a one stage process. The stages in this process are quote, slogan, tag line. 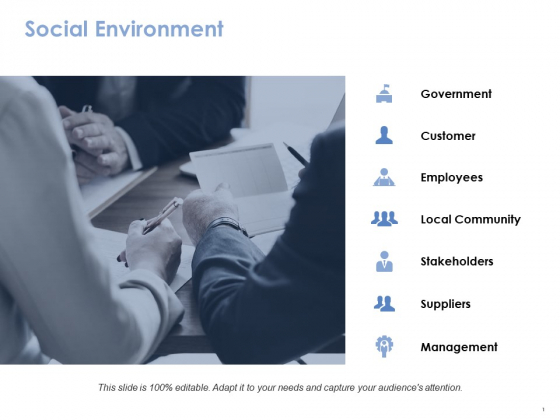 Draw attention to local development with our Business Strategy And Solutions Management Ppt PowerPoint Presentation Infographic Template Graphic Tips. It will get the inhabitants interested. This is a our goal strategy ppt powerpoint presentation icon gridlines. This is a one stage process. The stages in this process are business, management, technology, work, marketing. Address aspects of immediate concern with our Our Goal Strategy Ppt PowerPoint Presentation Icon Gridlines. Be able to handle local issues. 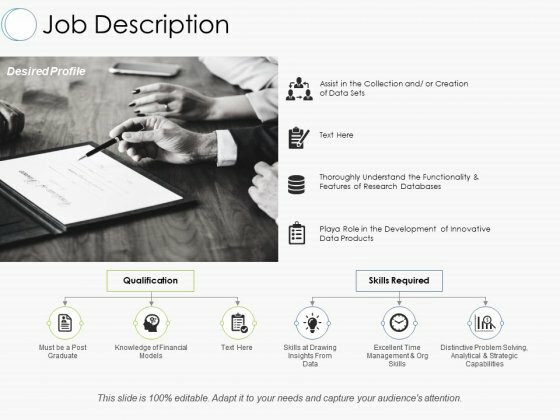 This is a job description ppt powerpoint presentation show layout ideas. This is a one stage process. The stages in this process are qualification, skill required, understand the functionality of database, excellent time management. Lobby for your cause with our Job Description Ppt PowerPoint Presentation Show Layout Ideas. Get folks interested in giving you a hand. 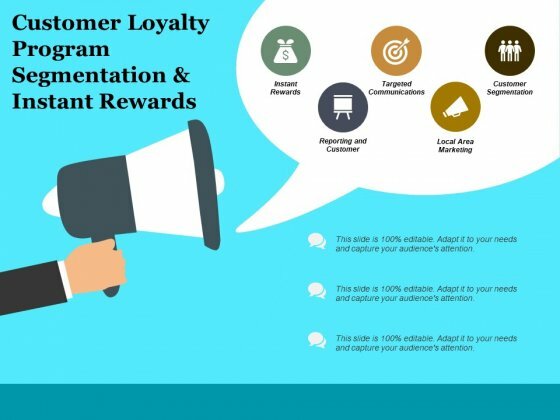 This is a customer loyalty program segmentation a instant rewards ppt powerpoint presentation file guide. This is a one stage process. The stages in this process are customer loyalty, marketing loyalty, retaining customers. Be chosen for the appointment due to our Customer Loyalty Program Segmentation A Instant Rewards Ppt PowerPoint Presentation File Guide. Convince folks that your credentials fit the bill. 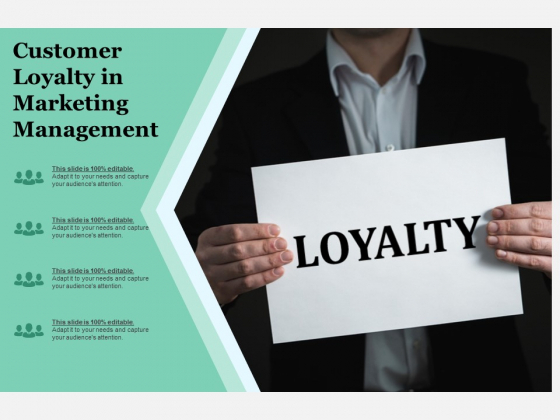 This is a customer loyalty in marketing management ppt powerpoint presentation gallery example file. This is a one stage process. The stages in this process are customer loyalty, marketing loyalty, retaining customers. 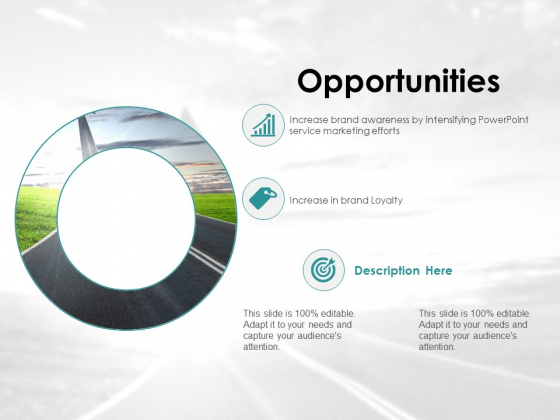 Our Customer Loyalty In Marketing Management Ppt PowerPoint Presentation Gallery Example File ensure you are chosen to do the job. You will get appointed. This is a business plan marketing strategy ppt powerpoint presentation icon format ideas. This is a one stage process. The stages in this process are marketing communication plan, marketing communication, marketing communication strategy. Folks learn how to improve their existence due to our Business Plan Marketing Strategy Ppt PowerPoint Presentation Icon Format Ideas. They get the chance to live better. This is a component action ppt powerpoint presentation professional background image. This is a one stage process. The stages in this process are marketing, business, management, planning, strategy. Be of great help to the ailing with our Component Action Ppt PowerPoint Presentation Professional Background Image. Look after folks laid low. 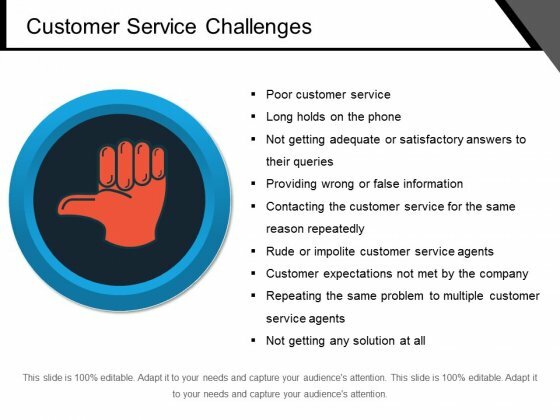 This is a customer service challenges ppt powerpoint presentation gallery model. This is a one stage process. The stages in this process are checklist, list of ideas, pain points. Compete with the world with our Customer Service Challenges Ppt PowerPoint Presentation Gallery Model. You will come out on top. This is a megaphone for business promotion ppt powerpoint presentation visual aids infographics. This is a one stage process. The stages in this process are support, assistance, hand holding. Present top flight leadership competencies with our Visiting Card In Human Hand Ppt PowerPoint Presentation Infographics Slide Portrait. They will make you look good. This is a megaphone for business promotion ppt powerpoint presentation visual aids infographics. This is a one stage process. The stages in this process are support, assistance, hand holding. Present pioneering technologies with our Strategies To Acquiring Customers Ppt PowerPoint Presentation Model Slides. They will make you look good. This is a megaphone for business promotion ppt powerpoint presentation visual aids infographics. This is a one stage process. The stages in this process are support, assistance, hand holding. 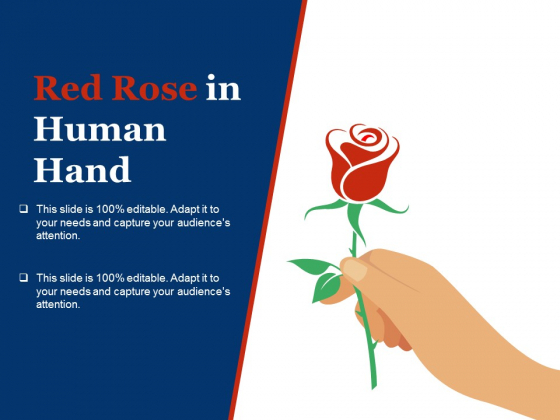 Exhibit global market dominance with our Red Rose In Human Hand Ppt PowerPoint Presentation Styles Slides. They will make you look good. This is a megaphone for business promotion ppt powerpoint presentation visual aids infographics. This is a one stage process. The stages in this process are support, assistance, hand holding. 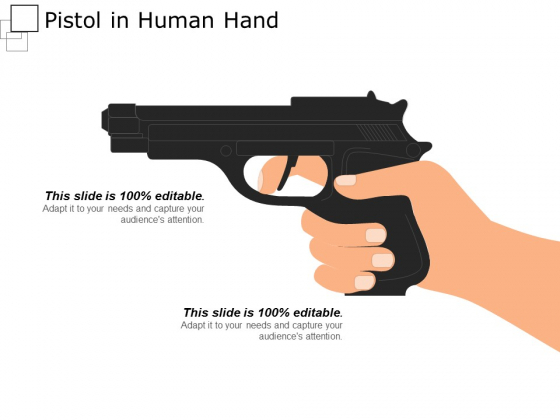 Do competitive market positioning with our Pistol In Human Hand Ppt PowerPoint Presentation Show Background. They will make you look good. This is a megaphone for business promotion ppt powerpoint presentation visual aids infographics. This is a one stage process. The stages in this process are support, assistance, hand holding. 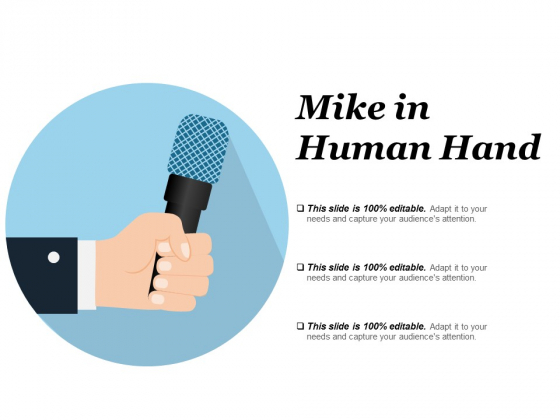 Display world class leadership with our Mike In Human Hand Ppt PowerPoint Presentation Show Skills. They will make you look good. 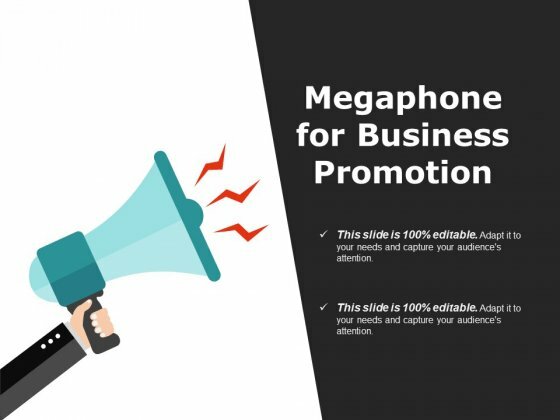 This is a megaphone for business promotion ppt powerpoint presentation visual aids infographics. This is a one stage process. The stages in this process are support, assistance, hand holding. Display visionary leadership with our Megaphone For Business Promotion Ppt PowerPoint Presentation Visual Aids Infographics. They will make you look good. 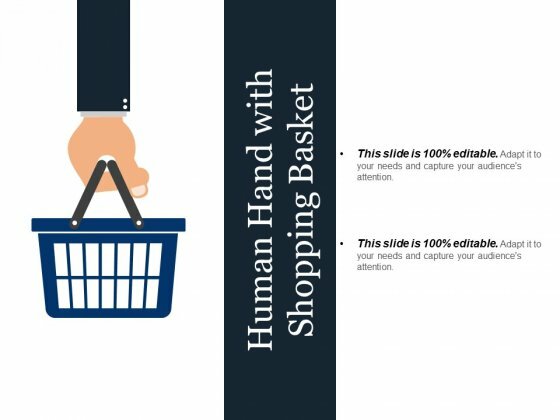 This is a human hand with shopping basket ppt powerpoint presentation gallery styles. This is a one stage process. The stages in this process are support, assistance, hand holding. Display executive leadership with our Human Hand With Shopping Basket Ppt PowerPoint Presentation Gallery Styles. They will make you look good. This is a gold medal for winner ppt powerpoint presentation outline images. This is a one stage process. The stages in this process are support, assistance, hand holding. 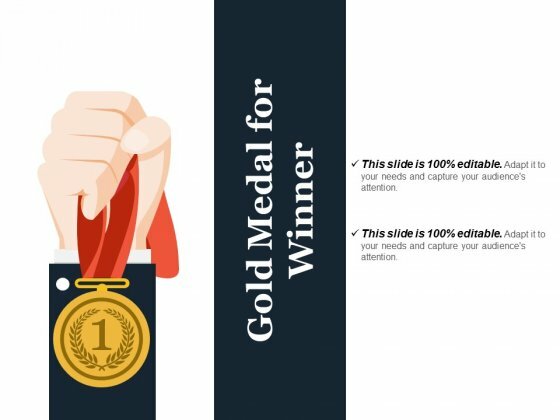 Become a high-caliber team member with our Gold Medal For Winner Ppt PowerPoint Presentation Outline Images. They will make you look good. This is a devise a plan ppt powerpoint presentation model. This is a one stage process. The stages in this process are devise, planning, business, management, comprehensive. Fashionable is what fashionable does. 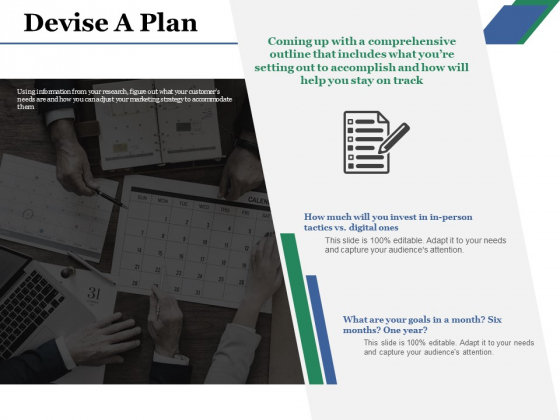 With our Devise A Plan Ppt PowerPoint Presentation Model you will fit the bill. This is a statutory governance icon ppt powerpoint presentation file slide portrait. This is a one stage process. The stages in this process are risk management icon, governance icon, compliance icon. You will find folks to be extremely loyal due to our Statutory Governance Icon Ppt PowerPoint Presentation File Slide Portrait. They will be earnest in their beliefs. This is a opportunities ppt powerpoint presentation inspiration slide. This is a one stage process. The stages in this process are increase in brand loyalty, description here. Influence folks to discuss the issue with our Opportunities Ppt PowerPoint Presentation Inspiration Slide. Encourage a dialogue. 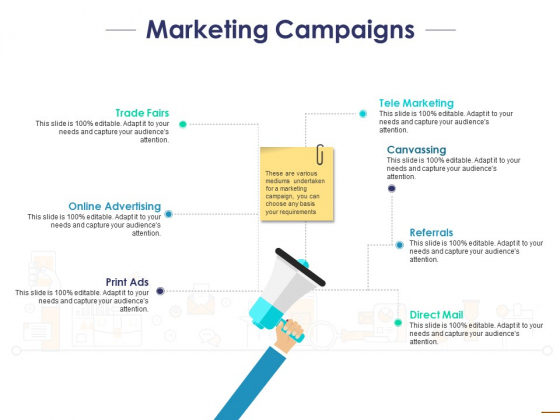 This is a marketing campaigns ppt powerpoint presentation inspiration portfolio. This is a one stage process. The stages in this process are trade fairs, canvassing, referrals, direct mail, tele marketing. Let creativity flow with our Marketing Campaigns Ppt PowerPoint Presentation Inspiration Portfolio. Your thoughts will develop an aptitude for it. 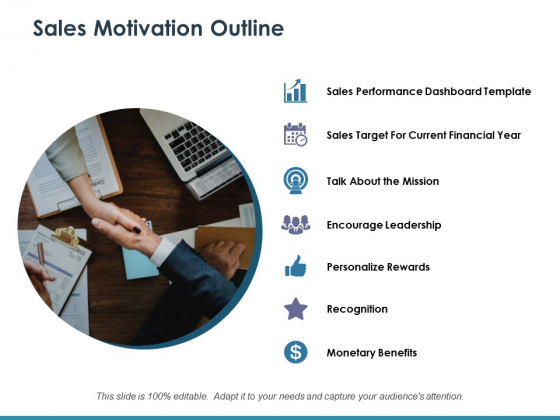 This is a sales motivation outline ppt powerpoint presentation gallery rules. This is a one stage process. The stages in this process are monetary benefits, recognition, personalize rewards, encourage leadership, talk about the mission. Mend fences with our Sales Motivation Outline Ppt PowerPoint Presentation Gallery Rules. You will be at the top of your game. This is a social environment ppt powerpoint presentation infographics background image. This is a one stage process. The stages in this process are government, customer, employees, stakeholders, suppliers. 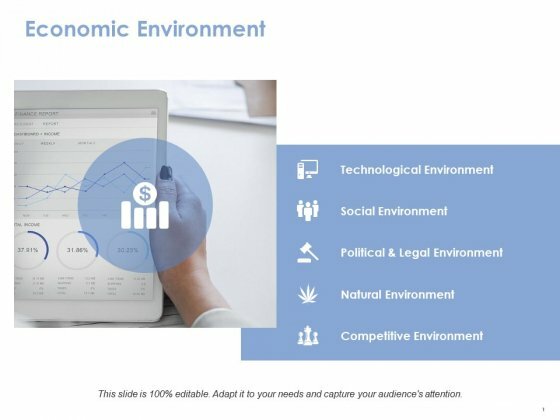 Our Social Environment Ppt PowerPoint Presentation Infographics Background Image create presentations that blow your audience away. With our money back guarantee you have nothing to lose. This is a economic environment ppt powerpoint presentation file files. This is a one stage process. The stages in this process are social environment, natural environment, competitive environment, technological environment. 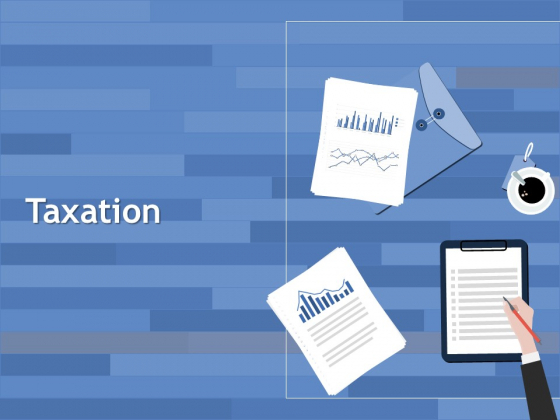 Banish the blues with our Economic Environment Ppt PowerPoint Presentation File Files. Your thoughts will bring in the cheer. This is a marketing and business development ppt powerpoint presentation ideas icon. This is a one stage process. The stages in this process are marketing, business, development, communication, planning. Exclaim to the world with our Marketing And Business Development Ppt PowerPoint Presentation Ideas Icon. Advertise your ability to everyone around. 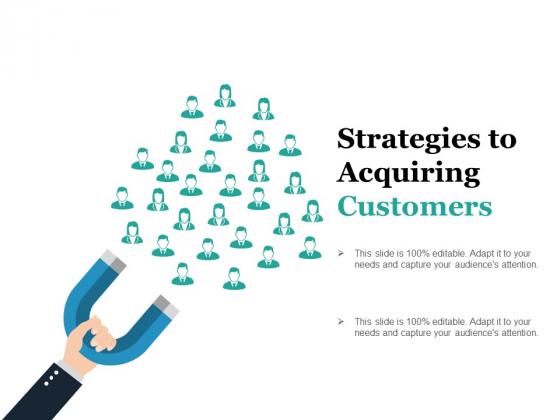 This is a strategic fit with buyer ppt powerpoint presentation infographics microsoft. This is a three stage process. The stages in this process are corporate, marketing, strategy, management, planning. The people behind our Strategic Fit With Buyer Ppt PowerPoint Presentation Infographics Microsoft are an erudite lot. They are known to be very well read. This is a material contract ppt powerpoint presentation information. This is a one stage process. The stages in this process are corporate, marketing, strategy, management, planning. Equal or better all records with our Material Contract Ppt PowerPoint Presentation Information. Cross all benchmarks earlier set. This is a marketing and business development ppt powerpoint presentation pictures file formats. This is a one stage process. The stages in this process are business, marketing, strategy, management, teamwork. Your ideas will raise the stocks. Gain equity with our Marketing And Business Development Ppt PowerPoint Presentation Pictures File Formats. 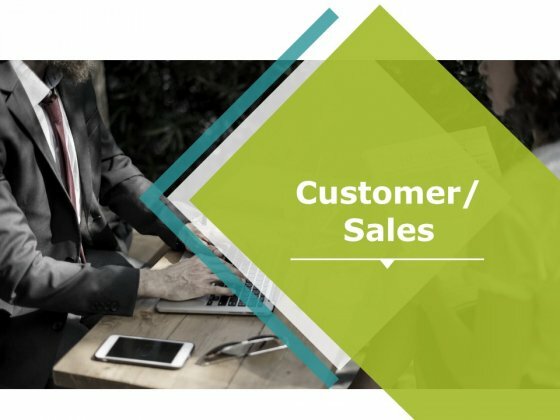 This is a customer sales ppt powerpoint presentation styles example file. This is a one stage process. The stages in this process are business, marketing, strategy, planning, communication. 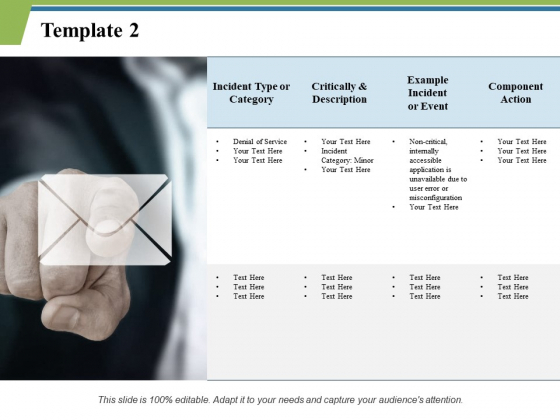 Our Customer Sales Ppt PowerPoint Presentation Styles Example File maintain equilibrium. Give your thoughts that balanced look. This is a technology intellectual property template 2 ppt powerpoint presentation infographics ideas. This is a one stage process. The stages in this process are technology, intellectual property, business, management, hand. Counsel folks to be loyal with our Technology Intellectual Property Template 2 Ppt PowerPoint Presentation Infographics Ideas. Acquaint them with the benefits of being devoted. This is a taxation ppt powerpoint presentation inspiration layout ideas. This is a one stage process. The stages in this process are business, management, marketing, taxation, agenda. It becomes clear that you are loyal due to our Taxation Ppt PowerPoint Presentation Inspiration Layout Ideas. Folks get to know of your deep devotion. This is a summary ppt powerpoint presentation ideas inspiration. This is a one stage process. The stages in this process are summary, business, management, marketing, hand. Convey the fact that you are devoted to the cause with our Summary Ppt PowerPoint Presentation Ideas Inspiration. Declare yourself to be loyal. This is a strategic fit with buyer ppt powerpoint presentation infographic template guidelines. This is a one stage process. The stages in this process are strategic fit, buyer, business, marketing, management. 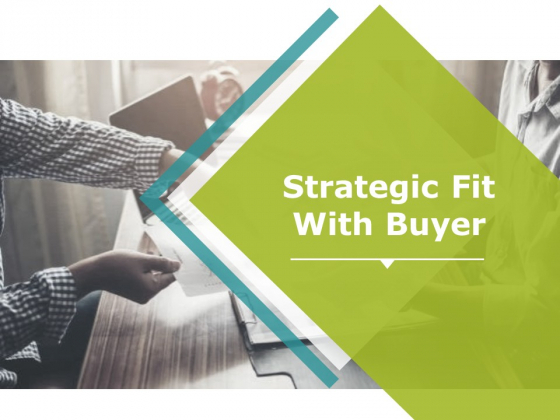 Declare yourself to be loyal with our Strategic Fit With Buyer Ppt PowerPoint Presentation Infographic Template Guidelines. Convey the fact that you are devoted to the cause. 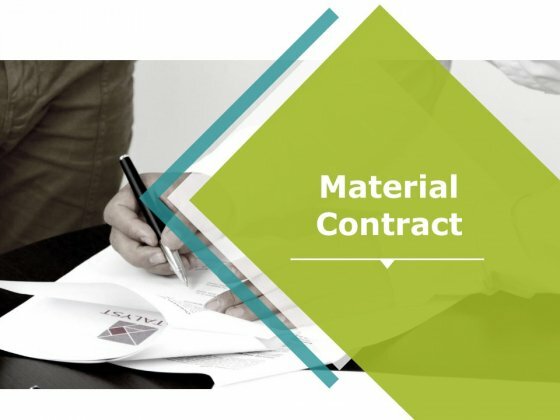 This is a material contract ppt powerpoint presentation templates. This is a one stage process. The stages in this process are material, contract, business, marketing, management. Boost feelings of devotion with our Material Contract Ppt PowerPoint Presentation Templates. Give the loyal a leg up. This is a marketing and business development ppt powerpoint presentation styles tips. This is a one stage process. 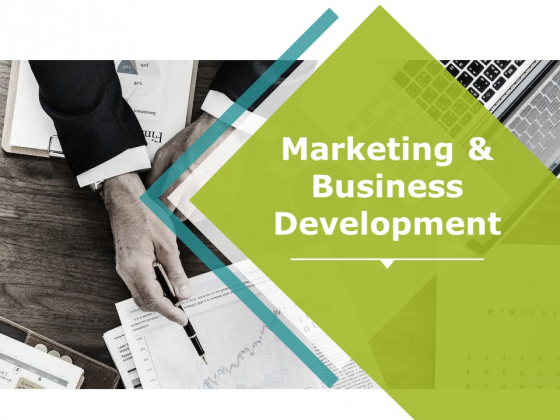 The stages in this process are marketing, business development, business, management, hand. They loyal get encouraged by our Marketing And Business Development Ppt PowerPoint Presentation Styles Tips. They feel bolstered by the gratitude expressed. This is a litigation ppt powerpoint presentation ideas graphics template. This is a one stage process. The stages in this process are agenda, hand, strategy, business, management. Ensure great deeds are duly commended with our Litigation Ppt PowerPoint Presentation Ideas Graphics Template. Express gratitude to the loyal. This is a insurance antitrust and regulatory issues ppt powerpoint presentation portfolio example file. This is a one stage process. The stages in this process are agenda, hand, strategy, business, management. Celebrate loyal acts with our Insurance Antitrust And Regulatory Issues Ppt PowerPoint Presentation Portfolio Example File. Glorify deeds of devotion to the country. This is a financial due diligence ppt powerpoint presentation ideas slides. This is a one stage process. The stages in this process are agenda, management, business, hand, financial. Justify being loyal with our Financial Due Diligence Ppt PowerPoint Presentation Ideas Slides. Convey your desire to be devoted. This is a environmental issues and general business affairs ppt powerpoint presentation ideas topics. This is a one stage process. The stages in this process are agenda, marketing, strategy, business, management. Folks begin to demonstrate loyalty due to our Environmental Issues And General Business Affairs Ppt PowerPoint Presentation Ideas Topics. It ignites feelings of devotion.